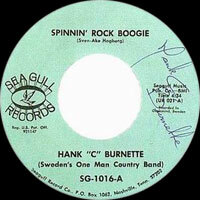 Chanteur Rockabilly Suédois né Sven Ake Hogberg, le 12 décembre 1944 à Sveg. 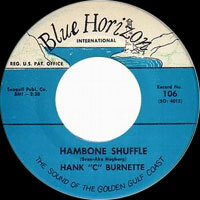 Hank C. Burnette, multi-instrumentiste, a débuté en 1967 sur le label Blue Horizon Records de Floride. 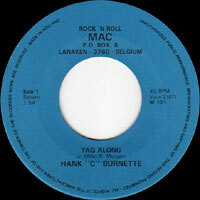 Par contrecoup ce single le fait connaître en Europe et les Rockers commençant à parler d'un Suédois qui, tout seul, dans son appartement, aurait enregistré plusieurs milliers de Rockabillies et de Rock 'n' Roll classiques en jouant lui-même de tous les instruments. 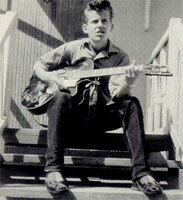 Swedish Rockabilly singer born Sven Ake Hogberg, on December 12, 1944 in Sveg. 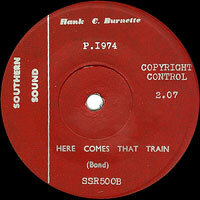 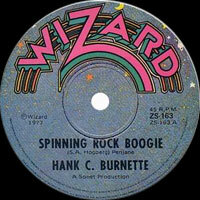 Hank C Burnette, multi-instrumentalist, began in 1967 on the label Blue Horizon Records from Florida. 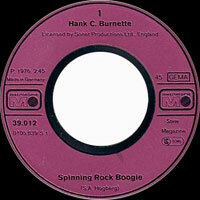 By by-effect this single the fact of knowing in Europe and Rockers starting to speak about a Swede who, all alone, in his apartment, would have recorded several thousands of Rockabillies and traditional Rock 'n' roll ' by playing itself of all the instruments. 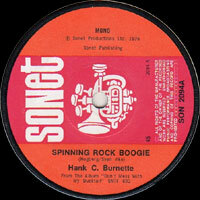 1976 LP 12" SONET SNTF-693 (UK) DON'T MESS WITH MY DUCKTAIL - Spinning Rock Boogie / Your Driving Licence Please / Riders In The Sky / Blue Moon / Hank's 97 / Come On Little Mama / Don't Mess With My Ducktail / Fools Like Me / Gold In The Morning Sun / Rockin' Daddy / Peggy Sue / Rock-Ola-Jive. 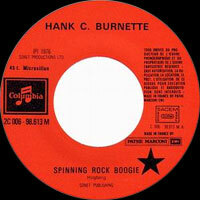 1977 LP 12" SONET SNTF-750 (UK) ROCKABILLY GASSEROONIE - Dirty Boogie / Pony Tail Girl / Guitar Nellie / Red Cadillac And A Black Moustache / Sweet Skinny Jenny / Patsy / Good, Good Lovin' / Connie Lou / Too Much / Rakin' And Scrapin' / Over The Rainbow / Sneaky Pete / Rocky Road Blues / Miss Froggie.